As police officers knocked on his door on Wednesday morning, Garcia shut himself in his room and shot himself in the head. The former leader was rushed to hospital and suffered multiple cardiac arrests during surgery and died several hours later, according to Latin American news outlet TeleSur. 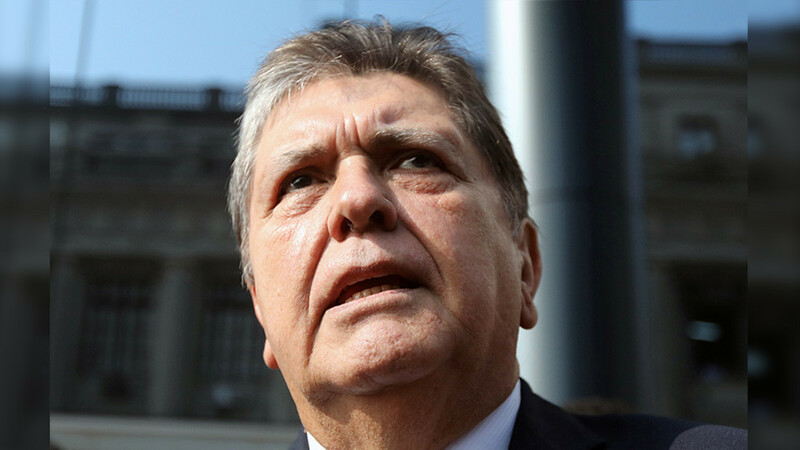 Garcia, who served as president of Peru from 1985 1990 and again from 2006 to 2011, had been under investigation for bribery. The former president was one of more than 230 people across Latin America investigated in a corruption case centered on Brazilian conglomerate Odebrecht. The former leader sought asylum in Uruguay last November, after a judge barred him from leaving Peru for 18 months. The asylum request was denied, and a judge in Lima ordered his detention on Tuesday. Prosecutors say Garcia took bribes from Odebrecht in exchange for a lucrative public transport contract in Lima. Garcia denies the charge, and claims he is being politically persecuted. Peru’s last five ex-presidents have all served jail time or are under investigation for corruption. Garcia’s successor Pedro Pablo Kuczynski is also being investigated for his alleged involvement in the Odebrecht scandal. Prosecutors are currently seeking to extend Kuczynski’s detention until he can be brought to trial.